The visit came after Venezuela's leader claimed his opponents tried to kill him. 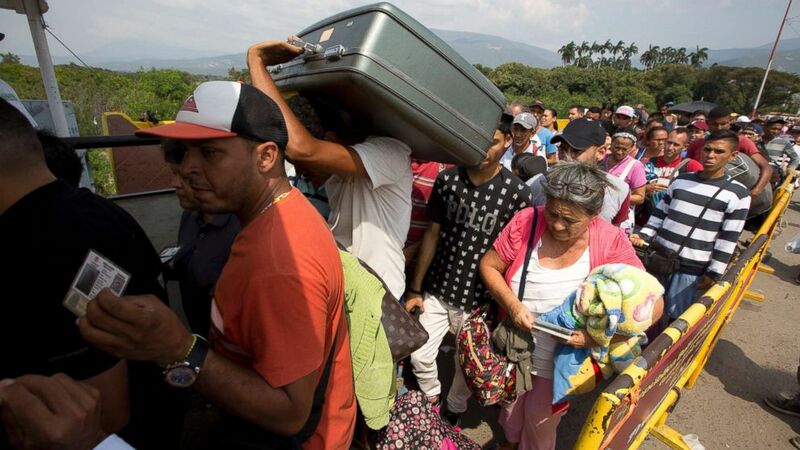 The United States on Wednesday announced nearly $9 million in aid to help those fleeing the humanitarian crisis in Venezuela, days after Venezuela's president said the United States was home to financiers of what he has called an attempt on his life. The United States' ambassador to the United Nations, Nikki Haley, made the announcement during a visit to Colombia's border with Venezuela, which Venezuelans have for months crossed in search of food, work and health care. (Schneyder Mendoza/AFP/Getty Images) U.S. Ambassador to the United Nations Nikki Haley, center in blue hat, walks on the Simon Bolivar International Bridge in Cucuta, Colombia, on the border with Venezuela, August 8, 2018. The funding will help Colombia address the influx of Venezuelans pouring across the border, according to the U.S. Agency for International Development. The U.S. has pledged more than $46 million in humanitarian aid in response to the crisis, USAID said. (Fernando Vergara/AP, FILE) Venezuelans cross the International Simon Bolivar bridge into the Colombia, Feb. 21, 2018. 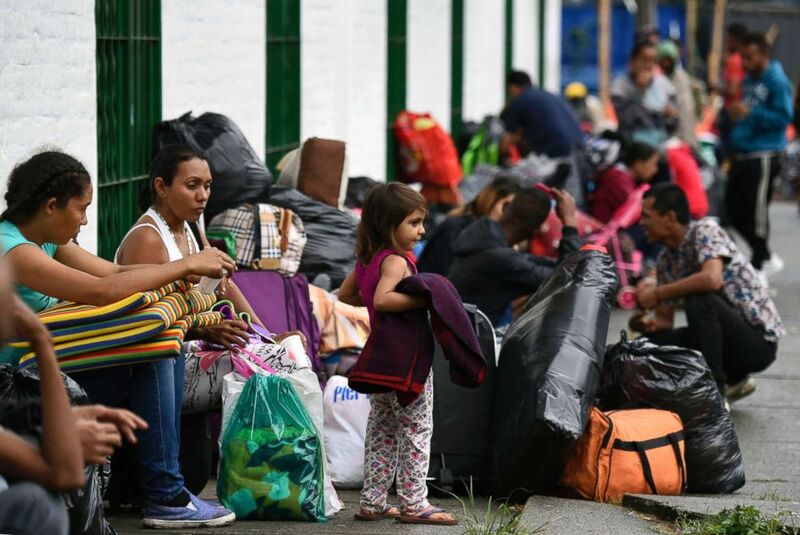 Colombia said last month that over 870,000 Venezuelans were living in Colombia, and many of the several hundred thousand more who have Colombian origins are believed to be moving there, according to the Associated Press. 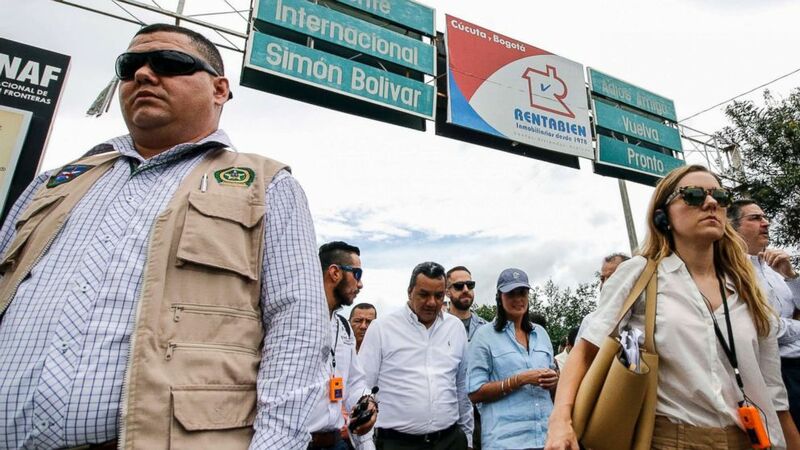 Haley on Wednesday visited Cúcuta, Colombia, a major crossing point for fleeing Venezuelans. On Tuesday, she attended the inauguration of Colombian President Ivan Duque. 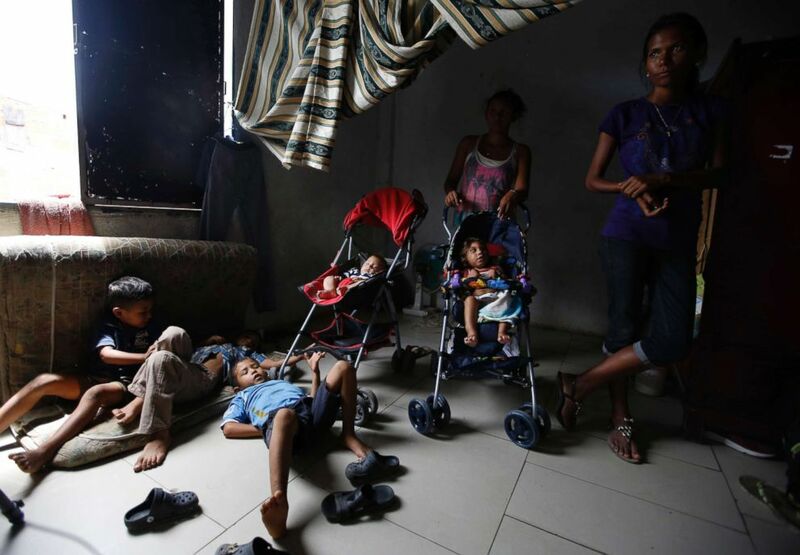 (Fernando Vergara/AP, FILE) Venezuelan children are watched over by a few of their mothers while others work, inside a sparsely furnished home shared by about 10 people in Cucuta, Colombia, June 27, 2018. The announcement came days after what Venezuelan President Nicolas Maduro has called an attempted assassination while he was speaking in the Venezuelan capital, Caracas. Maduro has said that opposition leaders were connected to Saturday's alleged attack, which involved exploding drones, and he has said some suspects reside in the Untied States and Colombia. (Schneyder Mendoza/AFP/Getty Images) U.S. 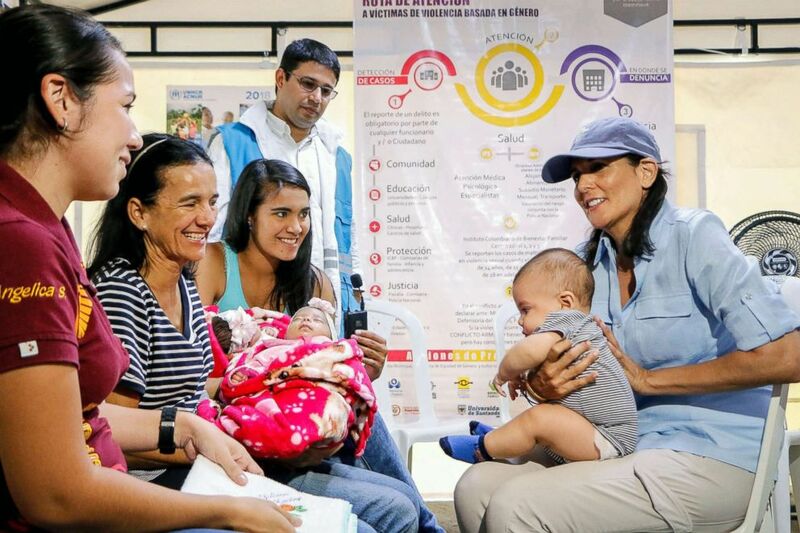 Ambassador to the United Nations Nikki Haley, right, speaks with Venezuelan migrants in a shelter in Cucuta, Colombia, near the border with Venezuela, August 8, 2018. "I want to explain to the government of the United States and the government of Colombia in detail all the evidence that leads us to accomplices and direct responsible living in the state of Florida," Maduro said, according to the Associated Press. "I trust in the good faith of Donald Trump." (Christian Escobarmora/AFP/Getty Images) Venezuelan migrant families are seen at a makeshift camp alongside the Cali river in northern Cali, Colombia, on July 31, 2018. U.S. National Security Adviser John Bolton on Sunday denied that the U.S. was involved in the incident. 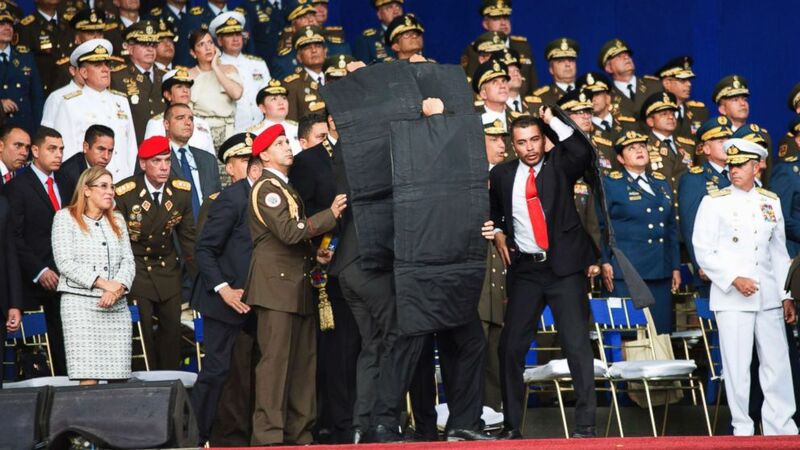 (Xinhua via AP, FILE) In this photo released by China's Xinhua News Agency, security personnel surround Venezuela's President Nicolas Maduro during an incident as he was giving a speech in Caracas, Venezuela, Aug. 4, 2018. Drones armed with explosives detonated near Venezuelan President Nicolas Maduro as he gave a speech to hundreds of soldiers in Caracas on Saturday but the socialist leader was unharmed, according to the government.